The obvious advantages of apartments in newly erected buildings are better isolation, contemporary arrangement, attended parking and low maintenance costs. It is even better if the apartment is in the system of VAT because when buying you will not have to pay the 3% sales tax (stamp duty). Have a look at our guide for buying apartments in Rovinj –for any further questions, contact us :) More about services for buyers! This stunning two bedroom flat with large terrace measuring 125,80 sqm is arranged over the ground floor of a new condominium in Rovinj. Kitchen/dining room/living room, 30,3 m2. 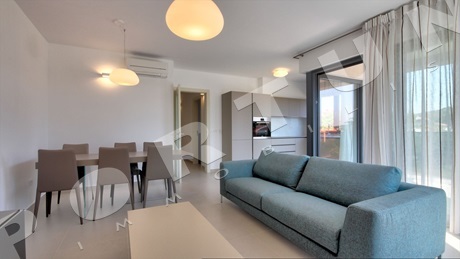 This modernly furnished two bedroom flat is arranged over the first floor of a new condominium only a few steps from the sea in Rovinj. The flat measures 88,10 sqm. Kitchen/dining room/living room, 41,15 m2. Orientation: West. 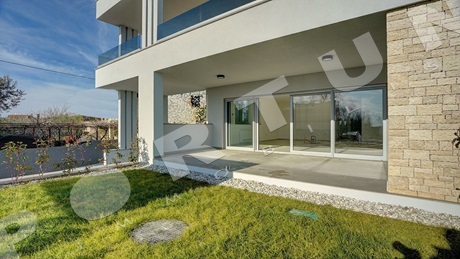 This fantastic two bedroom flat is arranged over the first floor of a contemporary urban villa near the sea and the center of Rovinj. The flat measures 96 sqm. The nearest beach is just 0,2 km away. 2nd Floor. Kitchen/dining room/living room. 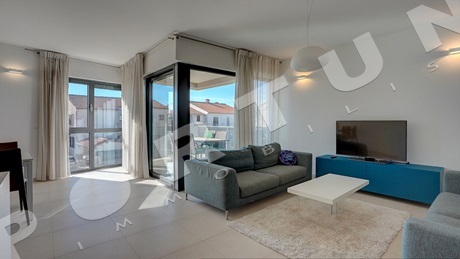 The second floor and attic of a contemporary condominium in a quiet village not far from Rovinj are occupied by this bright and airy two bedroom flat with one covered parking space. 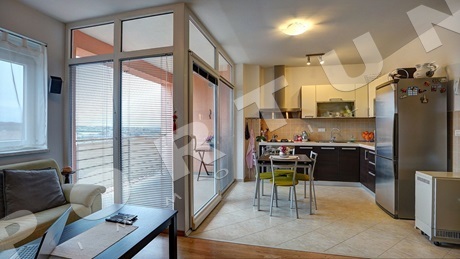 The flat measures 92 sqm. 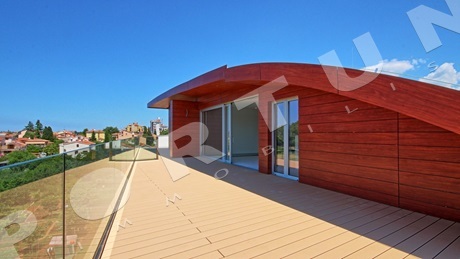 The second floor and attic of a new condominium only a few steps from the sea in Rovinj are occupied by this modern three bedroom penthouse with large terrace measuring 247,70 sqm. The penthouse offers panoramic sea views from the terrace. Loft. Covered terrace, 63 m2. Orientation: West. 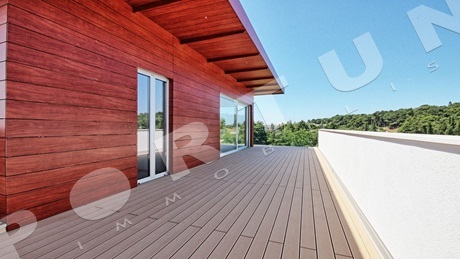 A fantastic three bedroom penthouse with a large terrace is laid out on the second floor and attic of a contemporary condominium near the sea and the center of Rovinj. The penthouse offers park forest view from the terrace. The penthouse offers views on the sea and forrestal park from the terrace. The second floor and attic of a well insulated condominium just a few minutes' walk from the center of Rovinj are occupied by this generous four bedroom penthouse with a large terrace. The penthouse measures 258,20 m2. Loft. Bedroom, 39,76 m2. Sea View. The second floor and attic of a small family home at few steps from the sea in the idyllic Rovinj are occupied by this three bedroom penthouse measuring 140,66 m2.